ARMY Rejoice! BTS Will Be Performing ‘DNA’ At The 2017 American Music Awards This Month – Also Set To Appear On Ellen! It’s finally happening! BTS is set to make their American TV performance debut at the 2017 AMAs this month! We have learned that the beloved K-Pop group is going to perform DNA! In an official statement, BTS talked about how excited they are to be on the same stage with so many international artists for the very first time. We all know how disappointed the fandom was when there was no performance at the Billboard Music Awards so this is a huge victory and a sign BTS is getting the recognition they deserve. Not to mention, executive producer for the Ellen DeGeneres Show, Andy Lassner also revealed via Twitter that BTS guesting on the talk show is definitely going to happen as well! As fans definitely remember, the group managed to win an award as Top Social Artist at the BMAs, beating artists like Selena Gomez and Justin Bieber. There, they also had the opportunity to meet some of the big names in the industry and discuss collabing. That being said, after working with The Chainsmokers’ member Andrew Taggart, they are now set to have collaborations with Steve Aoki and Desiigner as well! 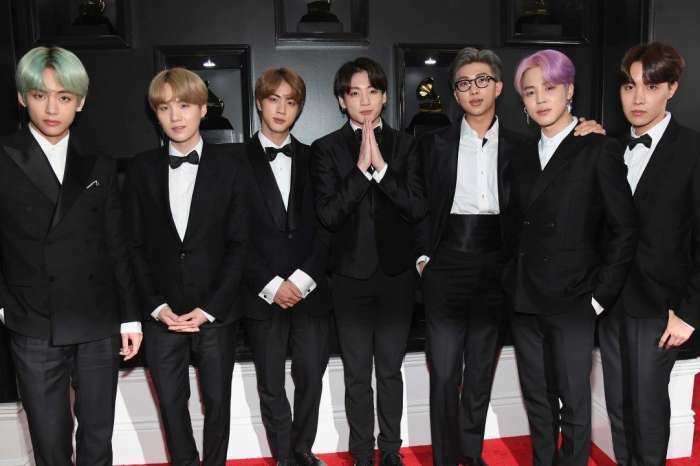 However, even though they have been gaining a lot of attention in America lately, after showing their amazing performance skills live at the American Music Awards this month, we are certain their international fame, and collab opportunities will grow a lot more! Who knows, maybe Jungkook will see his dream of collaborating with Justin Bieber become a reality sooner than we thought! Make sure to tune in for the AMAs, which will air live on November 19 on ABC at 8 P.M. ET. Alec Baldwin And His Wife Announce That They're Expecting Their Fourth Baby With Cute Snap - Check Out The Sweet Pic!